When you’re planning your next festival or event you want to choose attractions that will draw people of all ages. With our slide hire in Melbourne, you can entertain children, teenagers and even adults with 30 metres of sliding fun! Everyone loves the feeling of speeding down a big, multi-coloured slide! They are a great attraction for any event, as it provides guests with hours of laughter, excited shrieks and endless entertainment. Brightly coloured, our slides will stand out at your venue and can cater to 600 people every hour meaning profits are pretty much guaranteed. 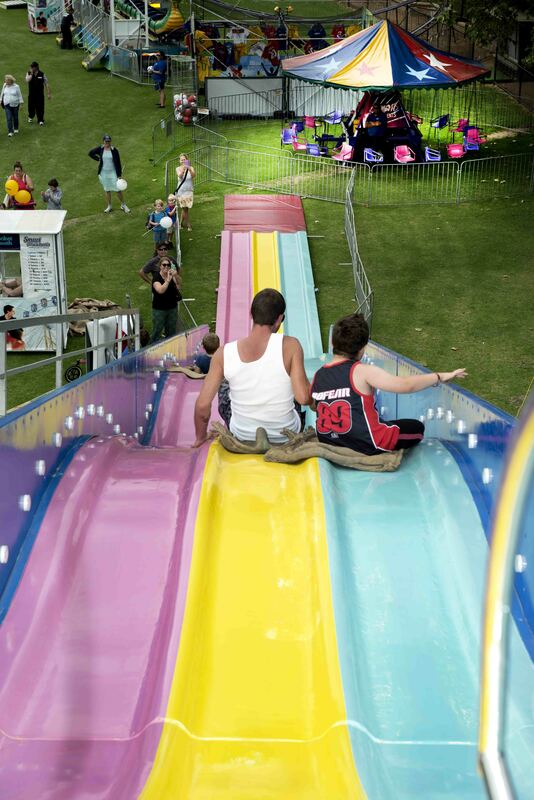 Suitable for guests aged 2 years and above, our slides are the perfect draw card for your next school fete, family friendly event, festival or carnival. To find out more about what this equipment requires and to make an enquiry for your next event, please get in touch with our team at Smart Amusements today. A Massive Range of Thrilling Rides Available! And a range of fun food equipment! 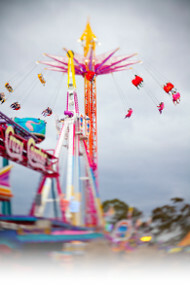 When it comes to our range of carnival rides for hire, your safety is of the utmost importance to us. 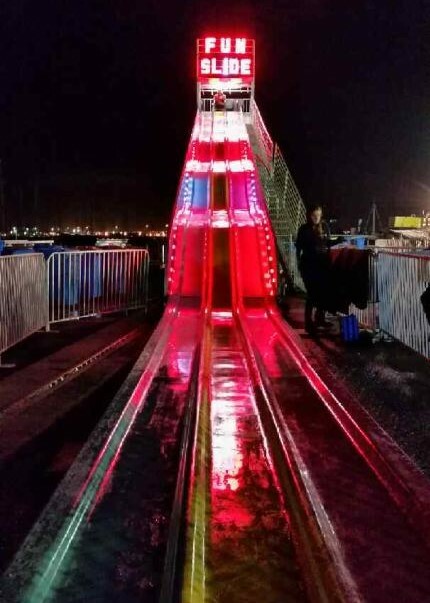 All amusement rides that we carry are covered by Public Liability Insurance and they’re also regularly checked by a qualified engineer and electrician, as well as being regularly audited by Worksafe Victoria representatives. You can rest assured that all our rides are in perfect working order. 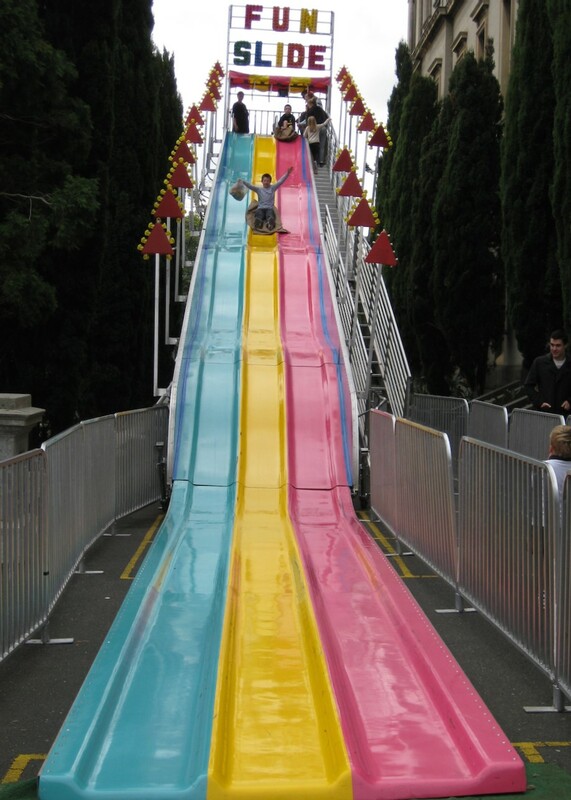 Contact Our Team About Our Slide Hire Today! 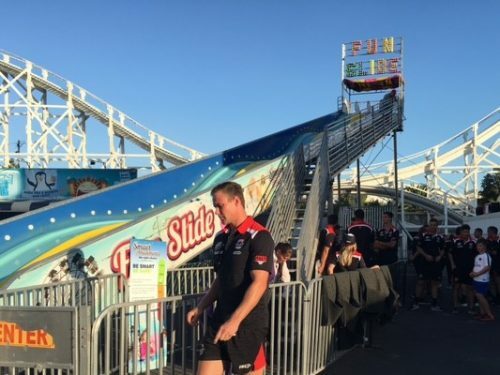 With our massive range of thrilling rides, fun carnival games and fun food equipment available for hire paired with our exceptional customer service and affordable prices, it’s easy to see why more Victorians are choosing Smart Amusements to provide a fun solution for any event. If you’re ready to discover how we can make your next event an entertaining and fun-filled one, get in touch today! You can call us on (03) 9555 6606, or simply fill out our online contact form and we’ll get back to you shortly.